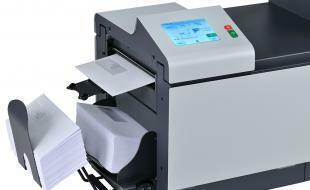 Manually collating, folding, inserting, sealing and stacking your mail pieces is a time-consuming task. 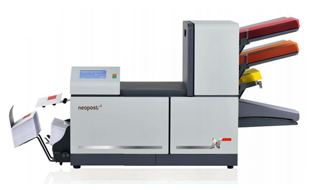 The Neopost DS-63 folder inserter is able to perform all of these tasks quickly and automatically. Complete your mailings in minutes, not hours. 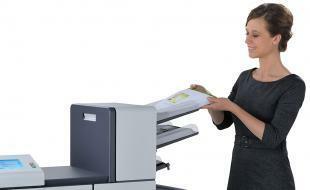 This versatile folder inserter is perfect for monthly invoice mailings or direct mail campaigns. Even if you only mail a few letters per day, the time savings can be immense!